The Union of Municipalities of Turkey (UMT) is cooperating with the Swedish Association of Local Authorities and Regions (SALAR) within the Tuselog project, financed by the Swedish International Development Cooperation Agency (Sida). The SALAR subsidiary SKL International is responsible for project management. The project will run for four years, until the end of 2016, with the overall objective to contribute to enhanced local governance in Turkey. Jämko is contracted to develop a training program for analysis of gender aspects of municipal decisions and services. 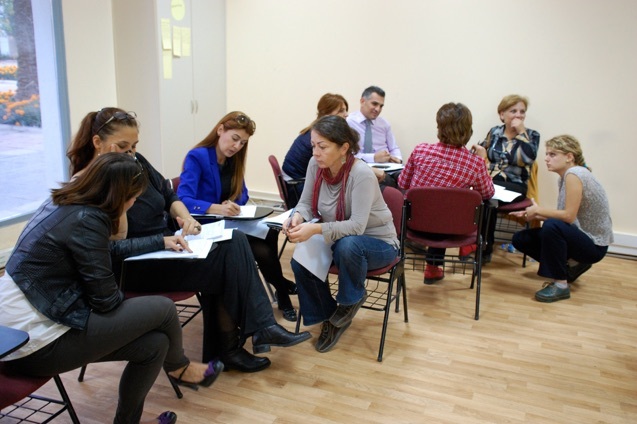 A ”training of trainers” was organized in september 2013, in october a series of pilot trainings, and thereafter a full scale gender training program. Information about this project is published here continously. For more information, contact Fredrik Lundkvist. Meeting in UMT office with Duygu, Oya and Cemal, planning the introduction of a 3R-method gender manistreaming training within the ordinary training program of the UMT municipal academy. In september there will be an initial training of trainers, several regional pilot trainings in october and by the end of the year, the training will be a part of the regular range of trainings. In a two day training ten to be gender trainers for the UMT municipal academy were trained in the pedagogics and practicalities of arranging 3R-trainings. After completing a home assignment and practical preparations, the next step will be for all trainers to participate in regional pilot trainings in october. Practical work on problem definition. Value exercise with UMT gender trainers. Oya Otman explaining the 3R-method in the first 3R-pilot municipal training in Bursa 2013-10-23. 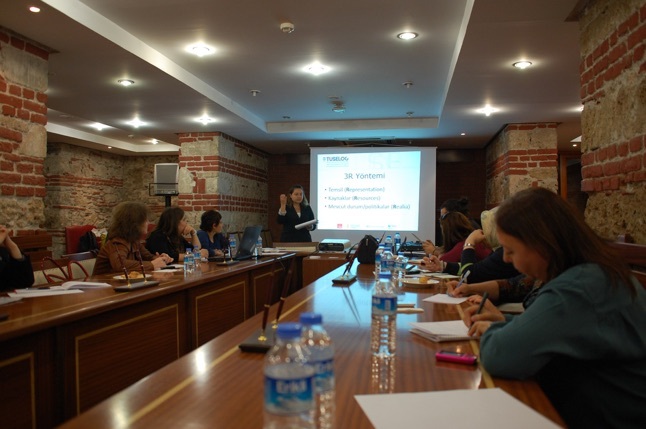 Ten active and interested civil servants from Bursa and adjacent municipalities participated in the first out of three pilot 3R gender trainings. The training was held in the historical Bursa City Hall, in the venue normally used for City Council meetings. Bursa is the fourth biggest city in Turkey and has high ambitions concerning gender equality. 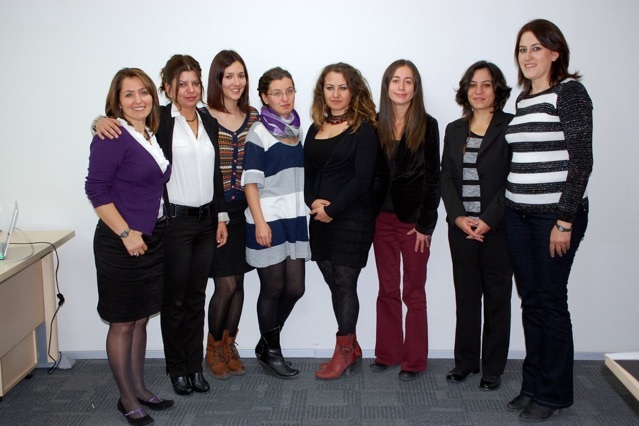 The second regional pilot 3R Training was held in the UMT Office in Ankara friday 25/10. Participants are to apply the 3R-method onto defined gender problems in their municipalities. Their use of the method will be used as concrete examples in future 3R-trainings. 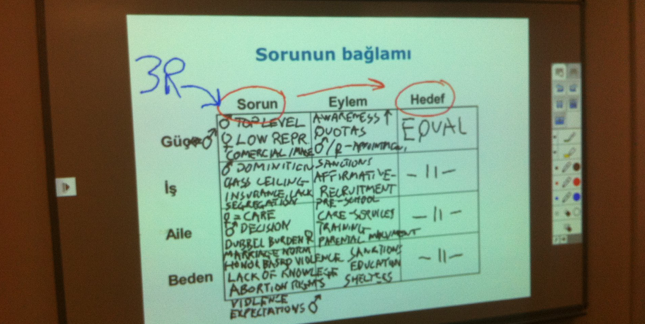 Group work on defining 3R-projects during the third pilot training in Izmir. 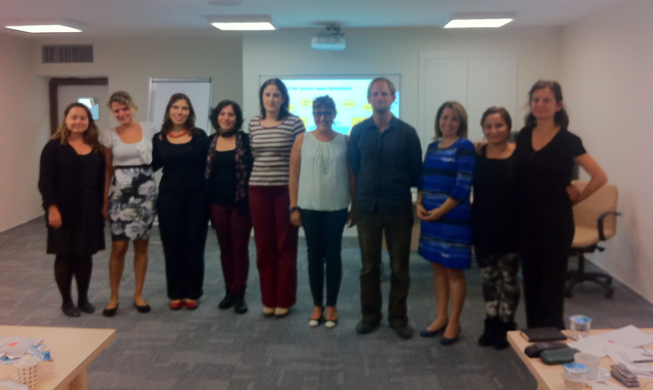 Nine participants from municipalities in and around Izmir participated in the third regional pilot 3R-training. The training was characterized by vivd discussions and interactivity, to a level that sometimes were hard for the trainers to facilitate into constructive project ideas. 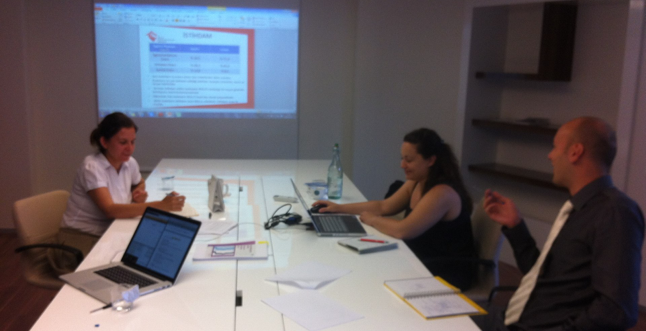 Still yet another training with good quality and hopefully output with a number of local gender mainstreaming projects. More photos from the project available here.